pic5678 Chelsea are at it again. Hi-jacking a transfer deal from under the noses of a Premier League rival.It shouldn't come as a surprise, they've done so when it looked like John Obi Mikel was on his way to Manchester United and then again when Willian was poised for a move to Tottenham Hotspur. 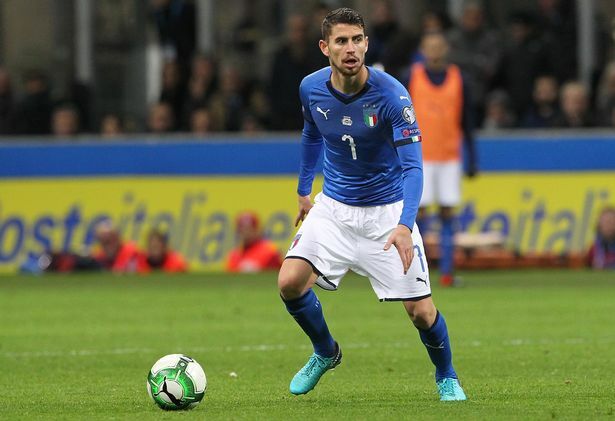 On Wednesday morning Jorginho was spotted at the airport getting ready to board a plane bound for London as the speculation surrounding a Chelsea transfer grew, and according to Corrieri dello Sport journalist Alfredo Pedulla, Napoli president De Laurentiis has 'confirmed' the transfer.De Laurentiis is reported to have said: "I'll have to apologise to [Manchester] City, because we closed the deal 15 days ago.